We love visual content—in all its forms. Whether it’s great data visualization or innovative design, we are inspired by work well done. And we believe that good work deserves to be shared. That’s why we showcase our favorite finds from across the web each Friday. 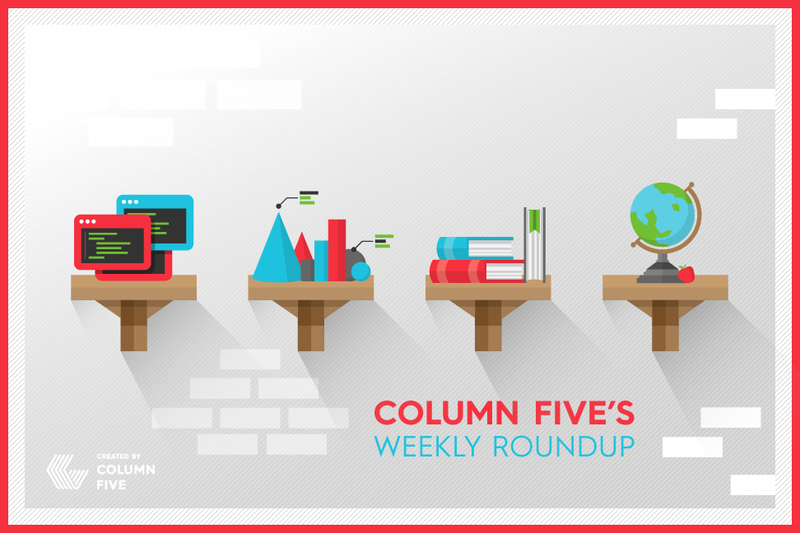 In this weekly roundup: flat design vs. realism, olive oil drama and more. With the buzz building for Super Bowl XLVIII, the Wall Street Journal took the opportunity to tackle a more serious football subject. 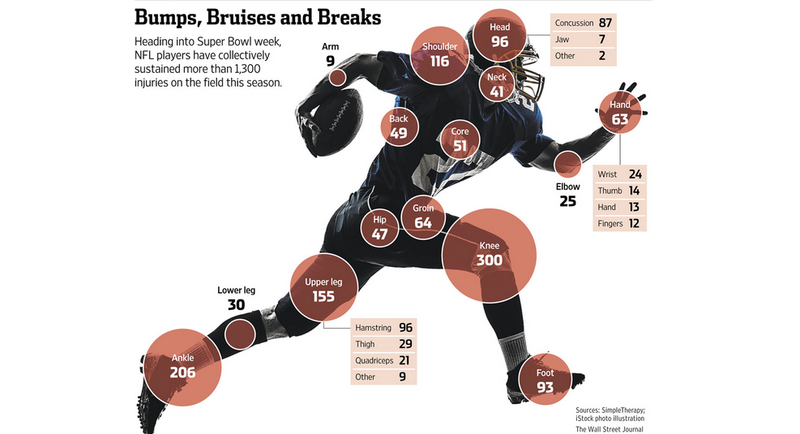 This simple but effective graphic depicts the types of injuries sustained in the NFL this year, shedding light on the dangerous side of the game. This entertaining interactive site showcases the design world’s battle between flat design and realism—literally. With illustration, clean parallax, and battling characters, this is just the type of entertaining storytelling we love. The drama of Italian olive oil—fraud, cover-ups, corruption—is brought to life in this interactive animated slideshow. (You’ll probably never look at olive oil the same.) Simple illustration gives life to a subject we never knew could be so captivating. 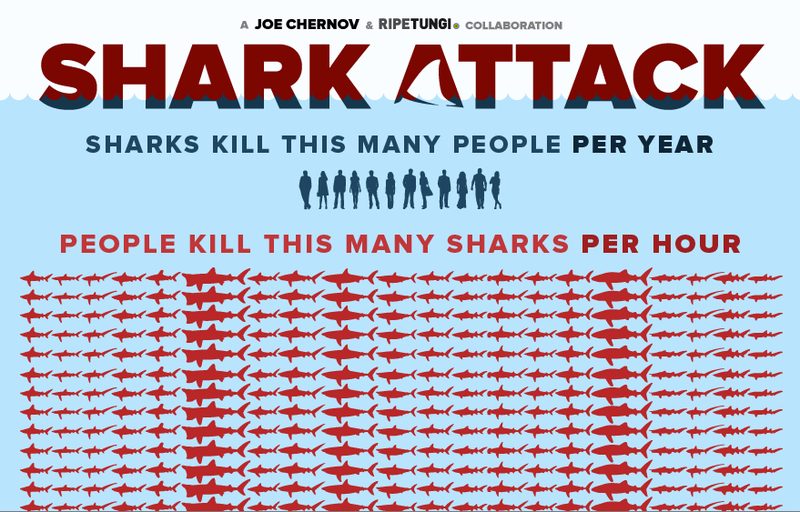 This infographic is a fantastic example of using a single statistic to deliver an incredibly powerful message. Kudos to the team behind this for myth-busting and putting our JAWS fear in perspective. While the polar vortex has terrorized many areas of the United States, this visualization of forecasted global weather patterns makes moving cold fronts look nothing but beautiful. Warning: The vibrant colors and smooth movement are completely entrancing. What original storytelling inspired you this week?